Penrith Building Supplies are a Cumbrian based company in Penrith who supply a wide range of building and construction related products. 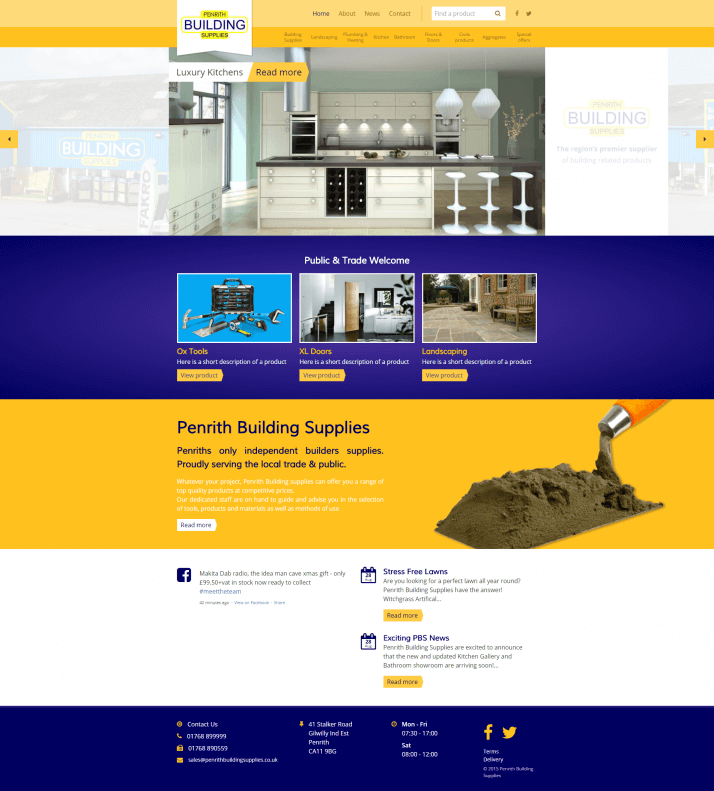 Having received funding from the Cumbrian Growth Hub, Penrith Building Supplies commissioned Mintcake to re-design and re-develop their website. Web design which included the implementation of a responsive, mobile friendly design compatible for both mobiles and tablets.